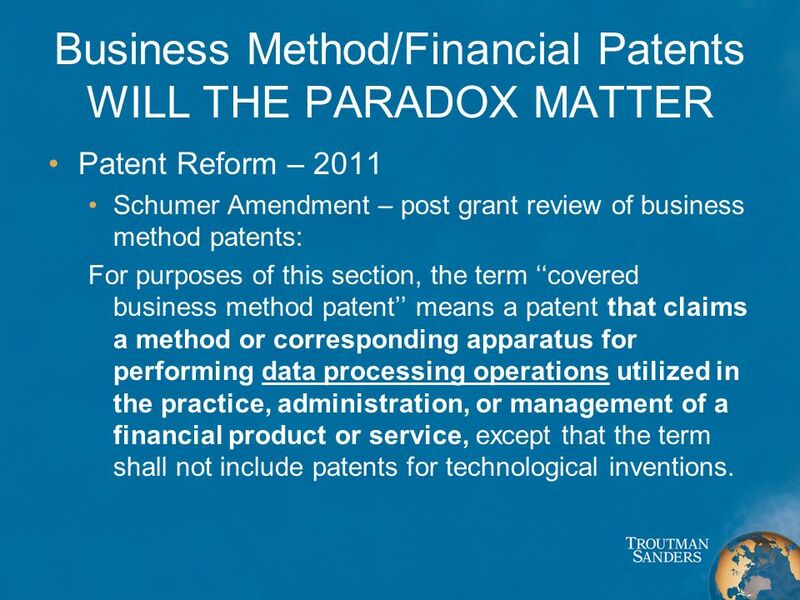 7 Business Method/Financial Patents WILL THE PARADOX MATTER Patent Reform – 2011 Schumer Amendment – post grant review of business method patents: For purposes of this section, the term covered business method patent means a patent that claims a method or corresponding apparatus for performing data processing operations utilized in the practice, administration, or management of a financial product or service, except that the term shall not include patents for technological inventions. 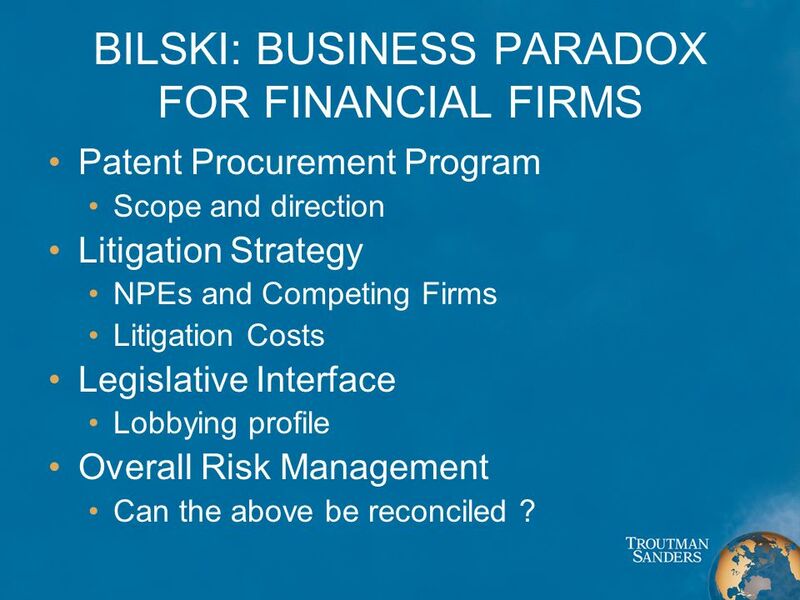 8 BILSKI: BUSINESS PARADOX FOR FINANCIAL FIRMS Patent Procurement Program Scope and direction Litigation Strategy NPEs and Competing Firms Litigation Costs Legislative Interface Lobbying profile Overall Risk Management Can the above be reconciled ? 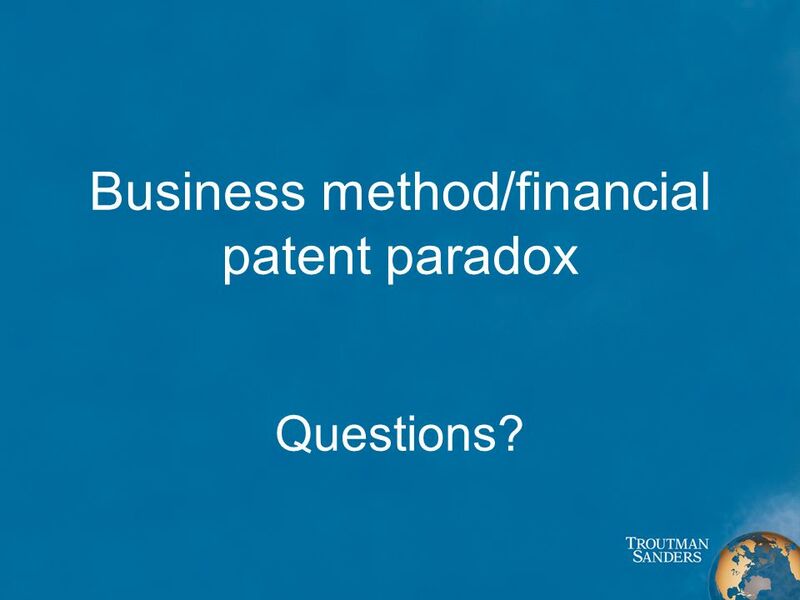 10 Business method/financial patent paradox Questions? 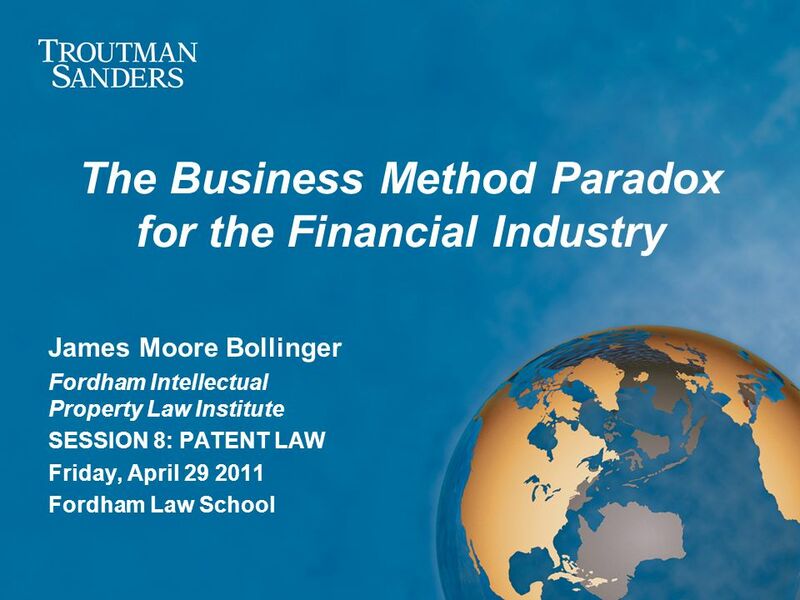 Download ppt "The Business Method Paradox for the Financial Industry James Moore Bollinger Fordham Intellectual Property Law Institute SESSION 8: PATENT LAW Friday,"
In re Bilski Federal Circuit (2008) (en banc) Decided: October 30, 2008 A very SMALL decision on a very BIG issue! 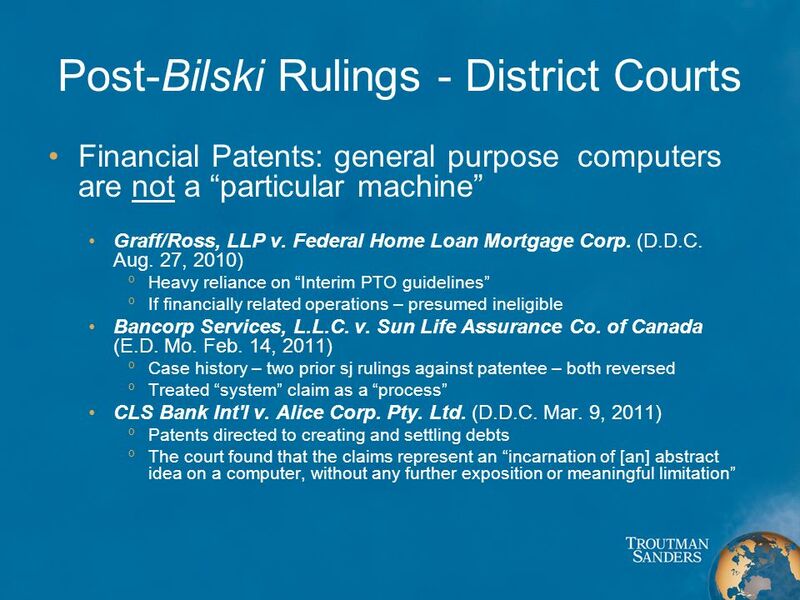 Dolcera IP & Knowledge Services In re Bilski A Threat to all Method Claims? 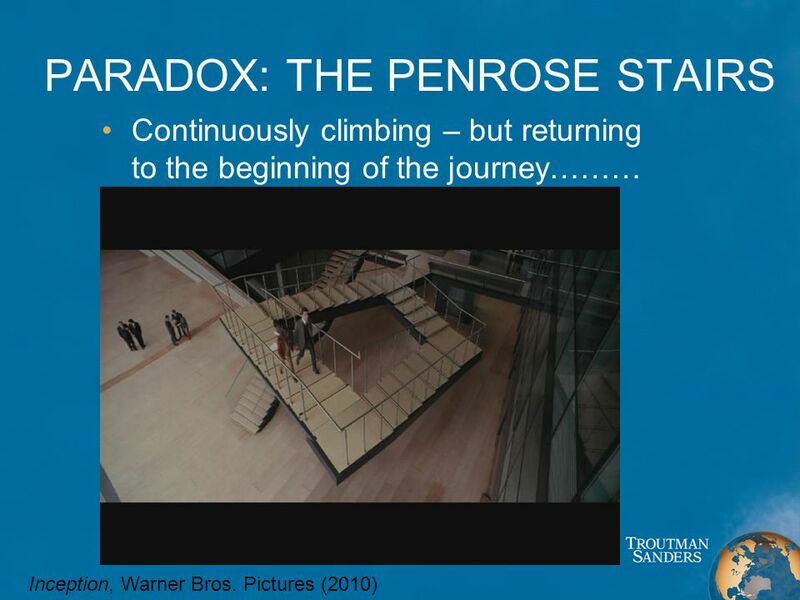 Metabolite and In Re Bilski: The Pendulum Swings Back Mark Chadurjian Senior Counsel, IBM Software Group 11 April 2008. 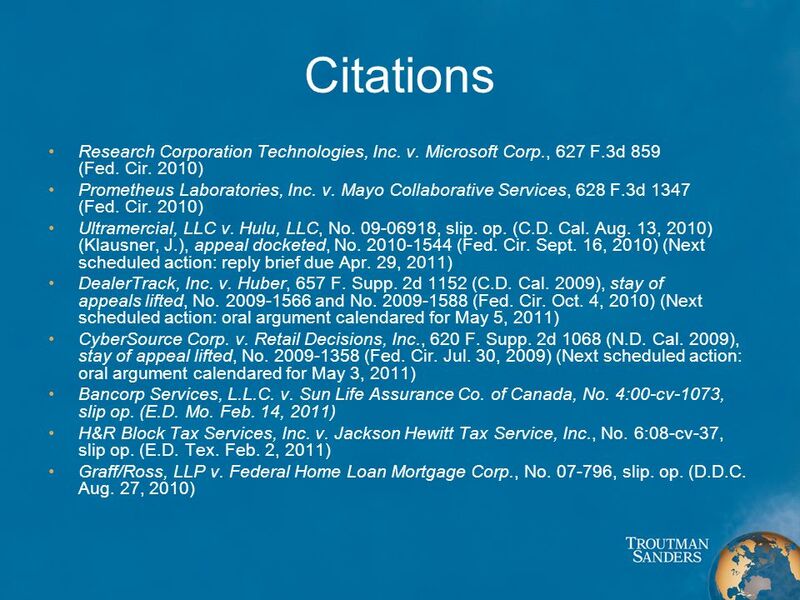 American Intellectual Property Law Association Recent Developments In The U.S. Law Of Patent Exhaustion Presented by: Joseph A. Calvaruso Orrick, Herrington. 1 1 1 AIPLA Firm Logo American Intellectual Property Law Association CLS BANK: PATENT ELIGIBILITY UNDER SECTION 101 JIPA/AIPLA Meeting By Joseph A. Calvaruso. 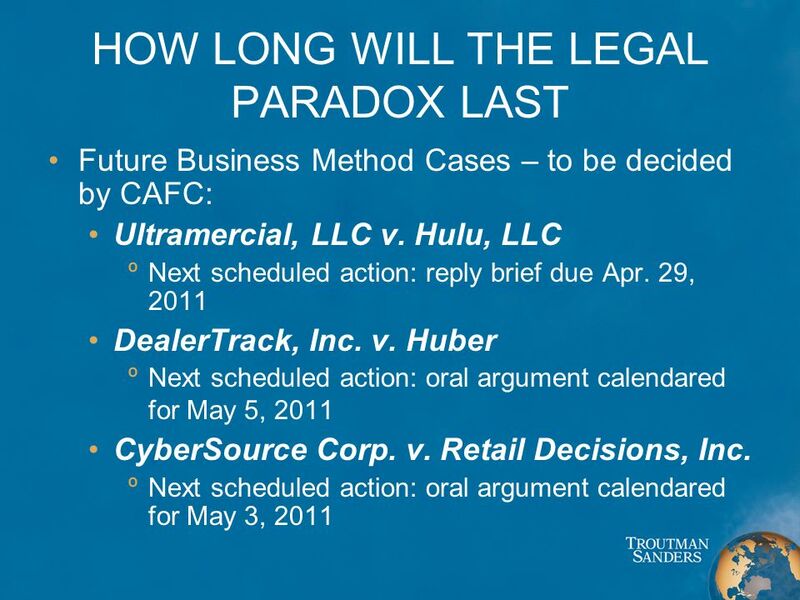 The Implications of Federal Circuit Jurisdiction for the Development of Antitrust Law FTC/DOJ Hearings on Competition and Intellectual Property Law and. By David W. Hill AIPLA Immediate Past President Partner Finnegan, Henderson, Farabow, Garrett & Dunner, LLP Overview of the America Invents Act. Update on USPTO Activities November 18, 2014 Drew Hirshfeld Deputy Commissioner for Patent Examination Policy 1. 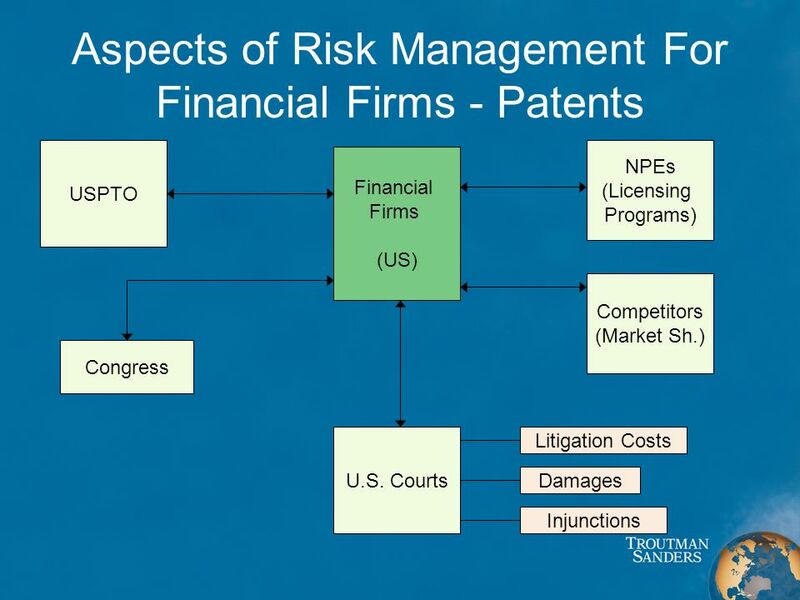 Recent Cases on Patentable Subject Matter and Patent Exhaustion Mojdeh Bahar, J.D., M.A. Chief, Cancer Branch Office of Technology Transfer National Institutes. 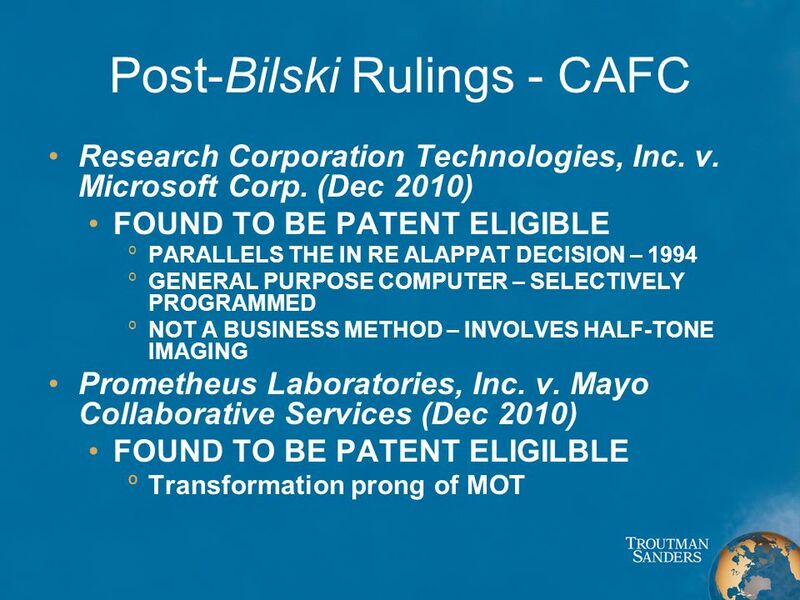 Orlando, Florida | Mayo v. Prometheus by:Jon M. Gibbs Lowndes, Drosdick, Doster, Kantor and Reed PA.
What is Happening to Patent Eligibility and What Can We Do About It? June 24, 2014 Bruce D. Sunstein Denise M. Kettelberger, Ph.D. Sunstein Kann Murphy. 1 1 AIPLA 1 1 American Intellectual Property Law Association Patentable Subject Matter in the US AIPPI-Symposium Zeist 13 March 2013 Raymond E. Farrell. 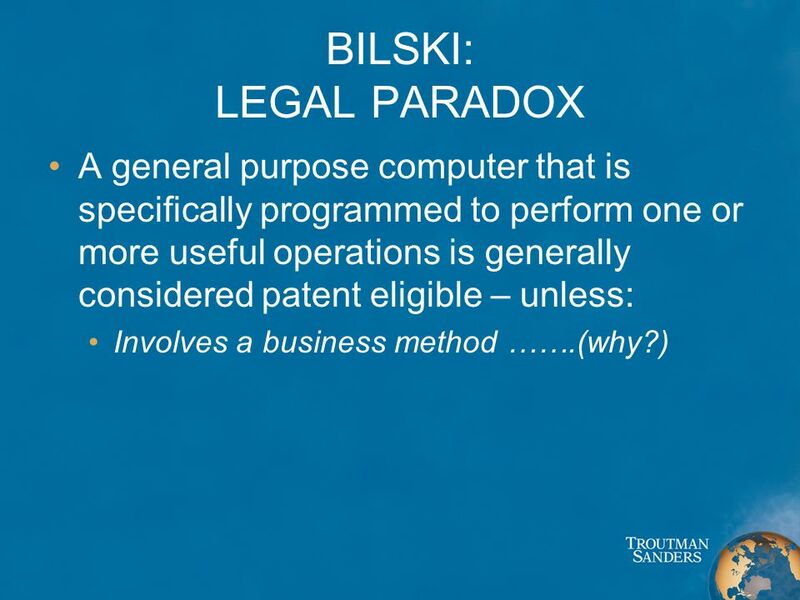 1 1 1 AIPLA American Intellectual Property Law Association Standard for Indefiniteness– Nautilus, Inc. v. Biosig Instruments, Inc. Stephen S. Wentsler. © 2011 Edwards Wildman Palmer LLP & Edwards Wildman Palmer UK LLP Patenting Methods of Medical Treatment in the United States AIPPI 2011 Forum/ExCo Peter.